The all new PaintShop Pro 2019 is a professional photo editor that helps you to create superior photos and original design projects. The program is affordable and subscription-free. You can easily edit, retouch and enhance your images with a comprehensive set of progressive tools. You will enjoy the powerful, layer-based editing capabilities. Edit, retouch and enhance your images with a comprehensive set of progressive tools. Enjoy the powerful, layer-based editing capabilities. Design with text, brushes, textures, and drawing and painting tools for create attention-grabbing designs. Crop, straighten, resize, enhance and retouch, or use one-click-adjustments to instantly correct. Experiment with hundreds creative filters and fun effects to make your photos pop. We have 3 lifetime licenses. 2. 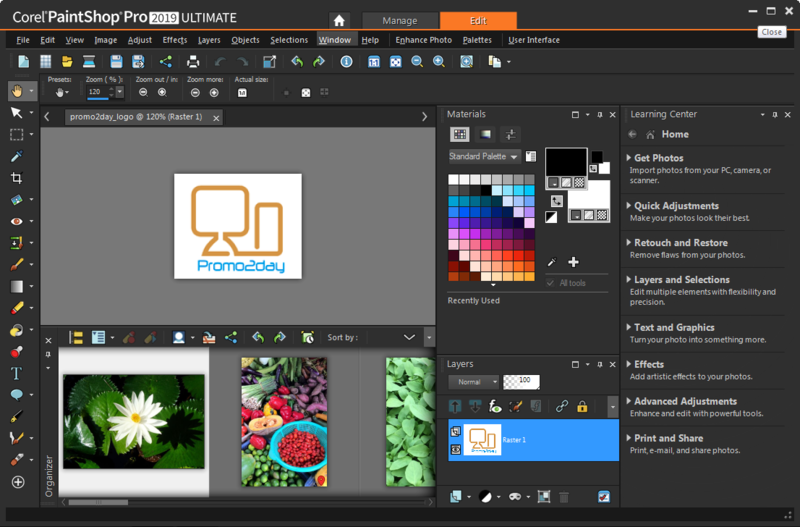 Answer an important question:[Few Sentences]: What is your current photo editing software and Why you want to win free license for PaintShop Pro 2019 Ultimate? In this nice soft I liked built in bundled features with additional soft.. I would love to win this for my wife, who is a professional artist. Good luck to all! Great program, great replacement for adobe photoshop! I'm using Ashampoo Photo Commander 15. I'd like to win a license because it is one of the most powerful editing softwares and Corel is a great company. Currently, I use Ashampoo Photo Optimizer, but I would like to win a license of Corel PainShop Pro because I need a more advanced and professional software than Ashampoo Photo Commander. Currently, I'm using Ashampoo Photo Commander 16. I would like to win a license for Corel PainShop Pro, because I am looking for a fully professional program for comprehensive photo editing and graphics processing. Thanks for the Corel PainShop Pro, currently I use Ashampoo Photo Commander. to have access to more advanced settings with the layer system. I used COREL products before. At present I don't have any license for COREL programs, that's why I use GIMP and Photoscape. If I won a license for this program, I would go back to COREL because it offers better quality products. Nice post, I had tested it sometime, and it looks like so awesome, i like because is an complete & profesional graphical designer software of images and draws similar to adobe photoshop. Rightnow im using paint.net but i would like to be an winner of an full paint editor studio, is my dream into have the great fortune to win this license. thank you Tarekma7!